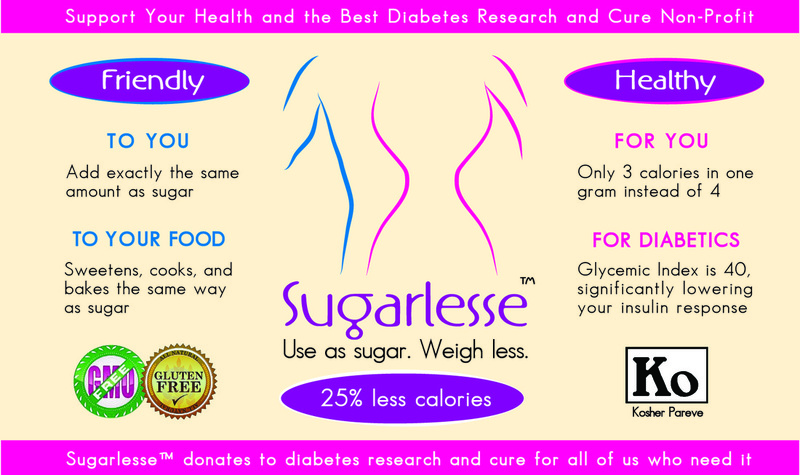 HELP STOP OBESITY AND DIABETES WITH SUGARLESSE™! We developed Sugarlesse™, our natural sugar replacer, as the most convenient and healthiest way to help stop obesity and diabetes. WHY ARE WE INTRODUCING SUGARLESSE™ NOW ? The annual survey from 2011 by the International Food Information Council says that 70% of Americans are attempting to cut back on sugar intake — but find it extremely difficult. And this is true in other countries too, to varying degrees. Why? That was the question we set out to discover and solve. After studying mountains of scientific literature and six months of non-stop lab work, cooking, baking, dessert making, shelf life testing, and market testing — thank you, but no need to feel sorry, the desserts especially were worth it — we are finally ready to introduce our solution: Sugarlesse™. We believe, that by creating Sugarlesse™, we can make your and other people’s lives healthier. We believe that this is our obligation as food scientists and entrepreneurs. We also believe that it is our obligation is to care for our planet. So we use GMO-free ingredients, eco-friendly packaging, and sustainable production technologies. We believe that it is also our obligation to help those of us with diabetes and obesity.Therefore we donate a significant portion of our sales to charities serving them. Finally, we believe that we can, and will fulfill these obligations with Sugarlesse™ and your support. Who are we? Three long-time friends, Andy, June, and Steve, working at HIP Gastroplex, and now Sugarlesse, as partners. Find out more about us here. However, what we do need is your help to produce and sell Sugarlesse™ at as many places as we can, as soon as we can, so it is available to everybody. In return, you will be the among the first to enjoy its benefits, as Sugarlesse™ is the biggest part of the rewards we offer. Naturally. Yes. There are marshmallows already, made with isomalt, specifically for diabetics. Isomalt is a type of sugar alcohol composed of two simple sugars: glucose and mannitol. A great tasting sweetener that is very similar to sugar, it has one very significant drawback - it can cause gastric distress, including flatulence and diarrhea. It is not advisable to consume more than 1.5 oz a day for adults and 3/4 oz for children, which does limit its usefulness. With isomalt out of the picture, we developed a better solution: Sugarlesse™, a proprietary blend of GRAS (Generally Accepted as Safe by the FDA) ingredients, which is now patent pending. WHY DO DIETS AND LOW CALORIE SUGAR SUBSTITUTES FAIL? Because they do not to take into account the intricacies of your body’s metabolism. “One size fits all” is not effective here. According to nutritionist and author of “Turn Up the Heat” Dr. Philip Goglia, there are three different types of metabolism, each requiring a specific diet. You can find out which group you belong, here. They don’t work -- with the possible exception of Weight Watchers®, which ties you into a life long change of eating habits. For most of us that is too much of a sacrifice. In come the latest diets, weight loss products, and sugar replacers. Out go some pounds for some weeks or months, just to be regained a few months later. The cycle then repeats. Again and again. Caloric restriction or worse, starvation, is especially counterproductive because your body goes into starvation mode. Anything you do manage to eat gets converted into fat as it holds the most energy to assure your survival. Since your survival is not at stake, the fat keeps accumulating. What a self-defeating cycle! That’s exactly why Sugarlesse™ provides only 25% calorie reduction. It takes into account your body’s caloric requirements — preferentially from natural sources. Expect these benefits to kick in right away. As days go by they’ll accrue. See next how. We have to cover some statistics here. Don’t tune out. We’ve made it short and sweet. Well, as sweet as we could. We think they are important for you to know. TOTAL = 7, 862 dollars. According to the American Diabetes Association, the total cost of diagnosed diabetes in the U.S. was $245 billion in 2012, affecting 12.84 million people. Calculated per person, a diabetic’s medical expenditures are about $13,700 per year, in 2012 dollars. About $7,900 of that is directly attributable to diabetes. Of course, this does not include the loss in your mobility, personal productivity, quality of life, and self-esteem. $16,786 in 2013, a 6.5% increase. According to USDA’s statistics for 2012, Americans consume about 76 pounds of sugar a year. Approximately half of that is refined sugar; 40% is corn syrup (high-fructose and regular); the rest is other sweeteners like dextrose. just in the first year -- PLUS all the benefits of enjoying life in much better health! While helping you with your personal well-being is our first priority, we also want to contribute in other ways to fight obesity and diabetes. How? By donating a significant portion of our sales to the charity of your choice. We will know what portion of sales we'll be able to dedicate to your charity or cause, once we are in full production and can determine our true, ongoing costs. You can help by telling us here which organization you would want the money to go to. Sugarlesse™ not only sweetens but works like sugar. You know that by now. Knowing is one thing. Doing is another. So we want you to cook, bake, make dessert, even drinks with it. How else are you to enjoy all of its benefits? Making your own food is also much healthier, since you control exactly what goes into it. You can use our recipes right away - it's very easy and quick to leaf through them on Isssuu.com. 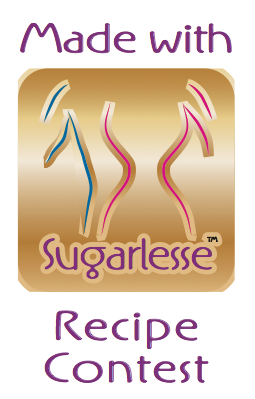 * What’s more, you can win up to $100 worth of Sugarlesse™ products with your own recipes. Not only can you win, but your recipes could also be featured in the Sugarlesse™ Recipe Collection, giving you a healthy dose of bragging rights. LET'S SPREAD THE HEALTH TOGETHER! By spreading the word about Sugarlesse™ and our campaign. You are experts at social networking, we are sure about that. You can give a huge push to our campaign and make Sugarlesse™ the phenomenon it deserves to be! You know every person in the world is linked to everyone via just six persons. We've created a competition to get your juices going. The rules are very simple. We can track all referrals we get from each person’s links. The person whose link boosts up the campaign the most with contributions gets a ONE YEAR OF SUPPLY OF SUGARLESSE™ FOR FREE. That's 2 pounds shipped to your front door each month for 12 months. The four next best runner-ups get 3 MONTHS OF SUPPLY OF SUGARLESSE™ FOR FREE. That's 2 pounds shipped to your front door each month for 3 months. Of course, this is dependent on the campaign getting funded at least at its base goal of $150,000. Share the personal link you get at sign-up with all of your friends via Facebook, Twitter, email etc. Present Sugarlesse™ to news agencies or publications like Yahoo News, Google News, NBC, ABC, Wall Street Journal, New York Times, Los Angeles Times, Huffington Post, Women's Health, Men's Health, Cooking Light, Wired, BuzzFeed, etc. It's up to you – how do you get as many contributions through your link as possible? We’ll keep you updated and announce the current Top 5 on the 20th day of the campaign and finally the winners on the last day. Note: You can share the link as a private person or through your company. Thank you everyone for your participation! This is your chance to win HEALTHY and AWESOME rewards and help us reach our dream! We’ve tried to make the rules as simple as possible so that everyone can participate. It’s the same with Sugarlesse™ -- we want to make the making, eating, and enjoying foods healthier for everyone! PLUS * We’ll invite you to make your favorite dessert with Sugarlesse™, in your presence. There will be plenty to take home too! PLUS * We’ll invite you to have a dinner with our team. We’ll then make your favorite dessert with Sugarlesse™ together with you. There will be plenty to take home, of course! We expect to start shipping your rewards in January 2014. Domestic delivery may take up to 7 days, depending on your location. It could be even longer for international deliveries. If you are scheduled to receive monthly rewards, your first package will also be sent to you in January, then the following months. Please note: While this is a US campaign, we are happy to accommodate international supporters. Please check with your country's customs department for any import duties or restrictions first, to avoid problems that might arise. Funds raised from the campaign will be used to cover the expansion of our production capacity and distribution network. This means the price will decrease with time and scale. Sugarlesse™ is already produced in a GMP (Good Manufacturing Practices) facility with FDA, Kosher, and Non-GMO approved components, under strict regulatory controls to ensure safety. This will be maintained as manufacturing is scaled up. All scale-up efforts have the potential for setbacks including supplier issues, manufacturing issues, sourcing, contaminants, and proper control. Delays are possible, but we are already working with our suppliers and other industry experts to ensure a smooth production ramp-up. Sugarlesse™ is not intended to diagnose, treat, cure, or prevent any disease.